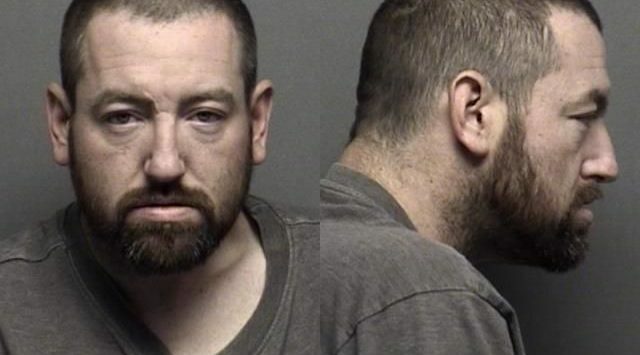 Salina Police arrested a homeless man after he attempted to strike an officer in the parking lot at Salina Regional Health Center. Police Capt. Paul Forrester tells KSAL News that the incident took place at 6:23 p.m., Monday at the Salina Regional Health Center, 400 S. Santa Fe. Police were called to the hospital after homeless man, 35-year-old John Walmsley was brought to the hospital after a suicide attempt. Forrester says that Walmsley attempted to leave the building prompting staff to call authorities. A female officer arrived on scene and met Walmsley in the hospital parking lot where she told him that he was not allowed to leave. Walmsley continued to walk away from the officer causing the her to pull out her taser, ordering him to stop. Walmsley then got down on the ground when the officer was able to place one handcuff on his left wrist. At that point, Walmsley pushed himself up from the ground and swung his right fist at the officer’s face, missing. The officer then tased Walmsley and then was able to arrest him. Walmsley was sent back to the hospital, released at 2 a.m. Tuesday and put in to jail custody. Walmsley has been charged with assault on a law enforcement officer. The officer reported smelling alcohol on his breath.